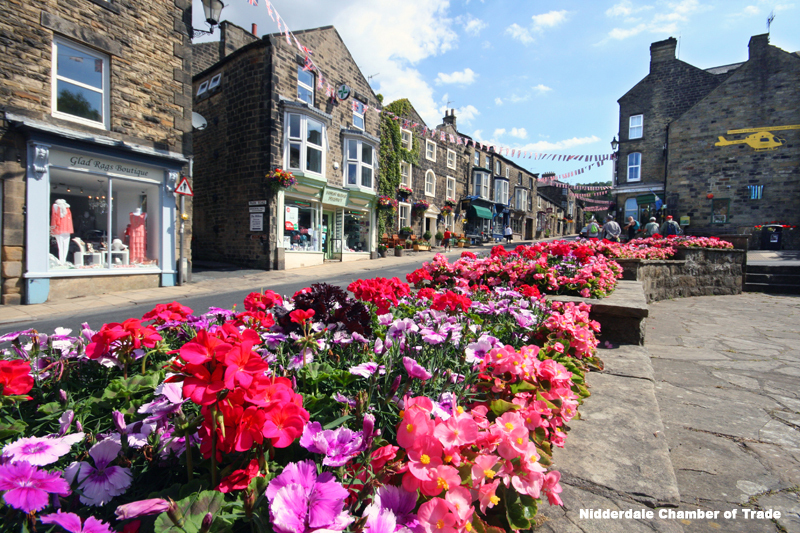 The Pateley Bridge in Bloom group are delighted to announce that the large village is representing Yorkshire in the national RHS Britain In Bloom competition in 2019! “Pateley Bridge is a shining example of how a community have come together under strong local leadership to catapult their town into becoming something special within our region and now on a national basis. The energy, drive and enthusiasm to make Pateley something unique is there for all to see. A thriving high street, a programme of events to attract visitors such as the 1940’s weekend, wonderful blooms during the year and many active clubs and societies make up this very special town. As Chairman of the York, North Yorkshire & East Riding LEP I can see the economic benefits it brings and as a Deputy Lieutenant of the County have the opportunity on official visits to join with local people in celebrating all that is happening within the town. Long may that continue because if anywhere deserves recognition and success it is Pateley Bridge”. Pateley Bridge was last entered in the Britain in Bloom competition in 2002 and won the competition in 2000.